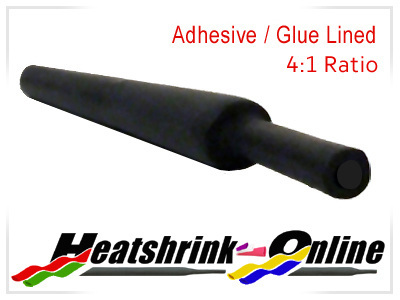 8mm diameter black adhesive/glue lined heatshrink. Supplied only in 1.2 metre lengths. A semi flexible polyolefin heatshrink tubing with a meltable adhesive inner lining which melts and flows to seal and encapsulate components within.